Metamorphosis was a collaborative installation / performance event initially conceptualized in it’s entirety by Hisham Akira Bharoocha. 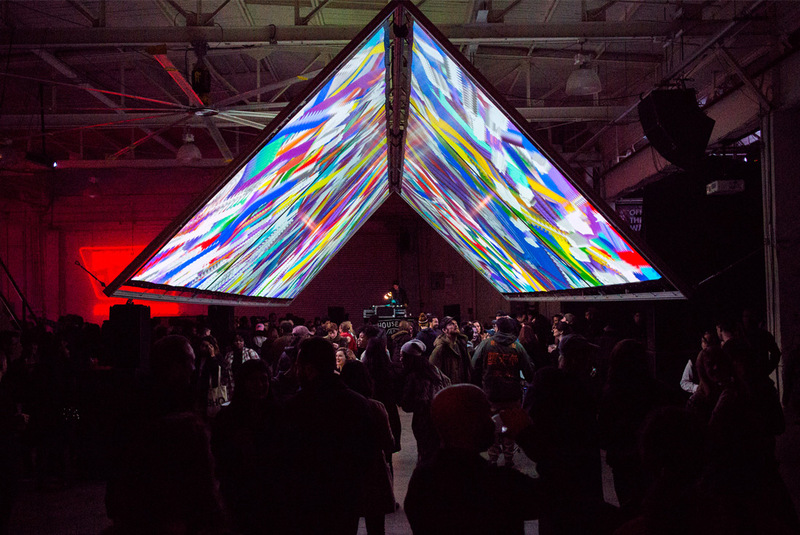 Bharoocha was approached by Imprint Projects to organize a two day event including possible art installations and musical performers for Vans at their House of Vans warehouse in Greenpoint, Brooklyn. This project soon became a collaboration between fellow artists Santtu Mustonen plus Dave and Gabe. In the end this became a one night event which happened in January of 2016. Bharoocha collaborated with Mustonen on the visual installation concepts and content. Bharoocha conceptualized to have drum pads triggering effects in the visuals for the early part of the event. Each musical performer had a different set of visuals that were effected in real time. 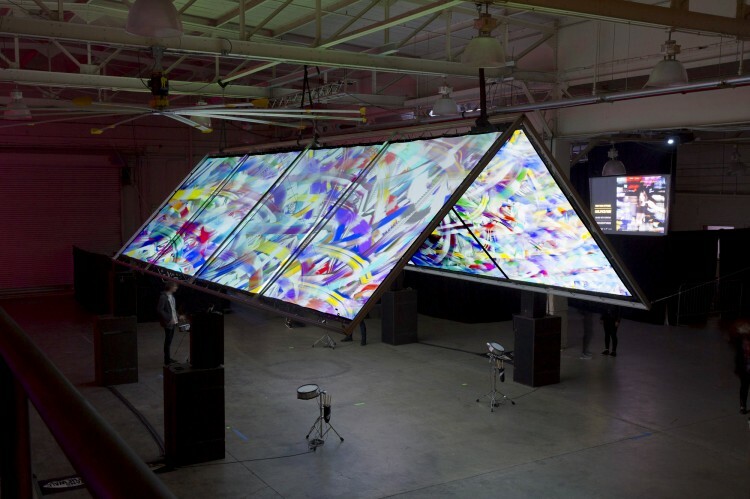 Dave and Gabe made the vision come to life by taking the reins on all technical aspects of how the installation would come together, including programming and what kind of screen could be viewed from inside and outside of the performance area. Bharoocha curated all of the musical performances which included Qween Beat, Venus X, Tygapaw, Dutch E Germ, Bharoocha’s own group IIII, DJ Tameil, and Brian Degraw. Other partners in this event were Sunhouse which gracefully loaned their drum sensor equipment for IIII’s performance, as well as A1 Array. These partners were also chosen and contacted by Bharoocha. For a more in depth description of this event click here.